A hilarious, social sandbox game for VR! Show your support to help us develop the game! 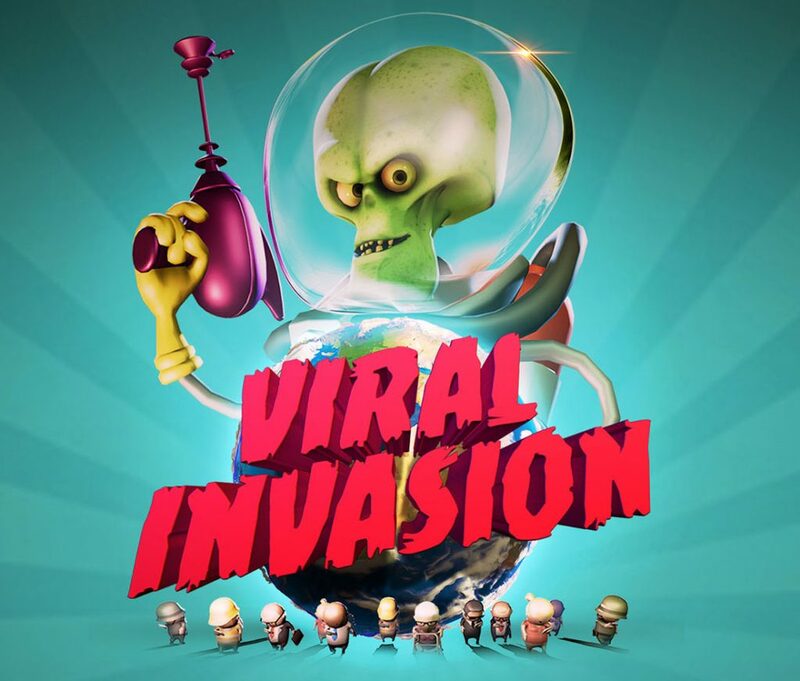 Viral Invasion is a VR game concept in the works and we need your help validating it. If we get enough support from you and the community we’ll go on with the development. Your sign up means a vote for the game and you get the chance to give feedback and participate in future BETA playtests. You might also get updates around other fancy concepts from Hatrabbit (we’ll stay away from spamming you with totally irrelevant emails). You can of course unsubscribe any time you want. What’s the point of the game? What do you do? Your main goal is to gather as many human followers as possible in order to control Earth. You do this by invading Earth’s major cities, where you play and interact with the world and create spectacular mayhem. Exploring the world and finding new things to do is part of the adventure. As you progress you unlock new missions, cities and gadgets with achievements available in various places. You can utilize humans to play golf, tennis, shoot at targets and other delightful challenges. Think of it like Job Simulator meets Mars Attacks but with social elements. Play this game against or with other alien players or just go solo. I saw a cat! What’s the role of the cats? Cats are the kings and queens of the internet and can steal your followers if around. Avoid them at all cost! Was the trailer showing any gameplay? Everything you see in the trailer video is captured within the game engine. Vacuuming humans, shooting, golfing, tennis etc are actual, playable gameplay mechanics from an early prototype. Gameplay might change based on your feedback during future development. What platforms is this coming to? We aim to build the game primarily for VR-platforms supporting 6dof movement but are open to expand it even further. Please share this page and the trailer to create engagement around the concept. Feel free to share your ideas and feedback in our social media channels. We aim to build the game together with the support of the community.